Sasikumar is the popular director turned actor in Kollywood film industry. 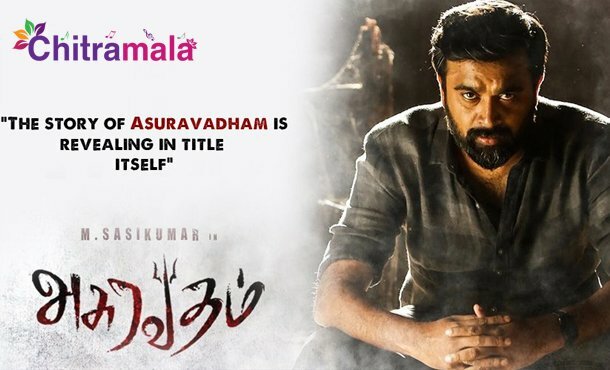 The creative personality is now gearing up for the release of his new movie titled Asuravadham which is said to be a rustic action thriller. The film’s shoot was wrapped up in just 49 days. Sasikumar is pretty much excited with the way the film was shaped. The industry buzz is that the film has a lot of violent sequences but Sasi claims that the movie is a battle between good and bad. The actor will be seen as a construction worker in Gulf and how his life changes after he comes back to his own village forms the crux of the story. The makers discussed an important social issue in the movie. The film comes with no songs.